Our party of 10 was made up of 5 adults, 3 kids, and 2 crying babies which didn't make for the most relaxing breakfast buffet. 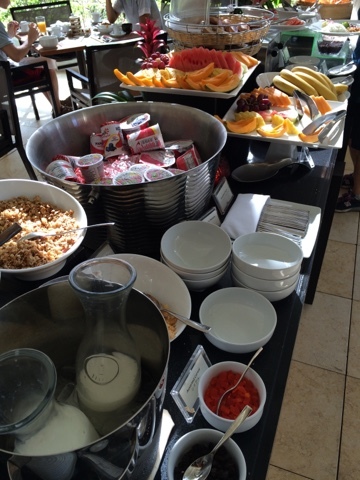 But being situated outdoors, in the beautiful Trump Hotel, we managed to enjoy a delicious breakfast. 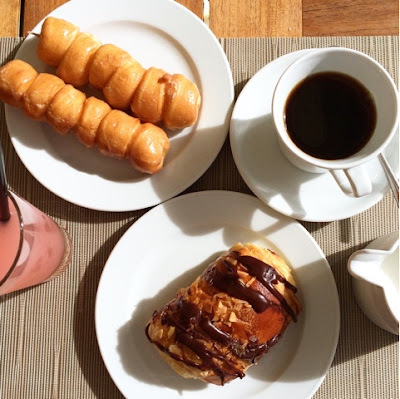 The buffet spread includes pastries and some of the best stick donuts in town, as well as a made to order omelet station. 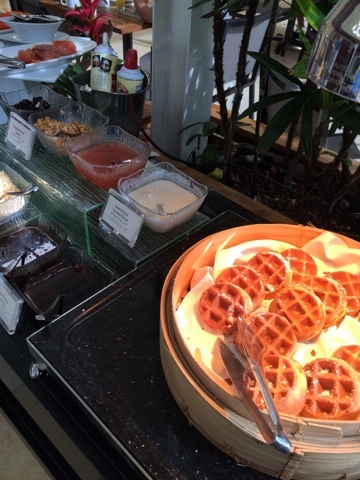 Yogurt, fresh fruits, waffles, miso soup, somen, and standard items like scrambled eggs and bacon are also on all you can eat status. You can also order items if they are not on the line that day like French toast, pancakes, breakfast meats, and oatmeal from your server. The kids loved ordering smoothies that were included in the buffet price. What really stood out to me was the service. Our servers were amazing and always on point. It made our experience outstanding. Adults are $33 and children 6 and over are $17. You also have the option of just ordering off the menu. 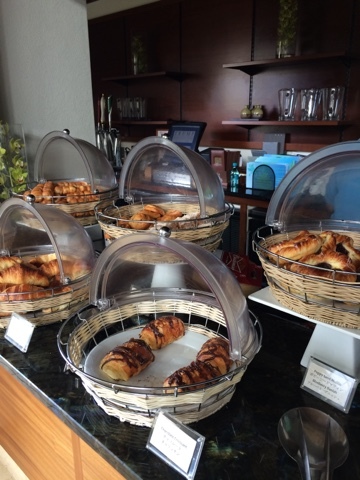 Breakfast is served daily from 6:30-10:30am. This looks amazing. I am going to have to show Military Husband this. Definitely want to check it out when we head that way.